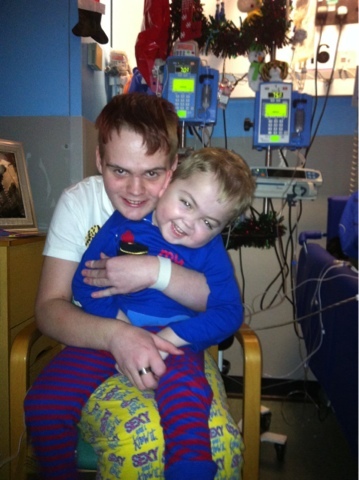 Harvey's Journey : Meet Josh..
Josh is a good friend to me, I met him whilst being here. Josh himself has got a fight on his hands, we help each other through. Our mummies say we're not good together though cos we're too similar! He calls me his brother from another mother. Josh gets upset if I'm not well and goes and tells the nurses to fix me or get me pain relief when I need it. I can always sense when josh isn't quite right either, on those days he gets in my bed (because its massive) and we have a cuddle and a quick sleep. 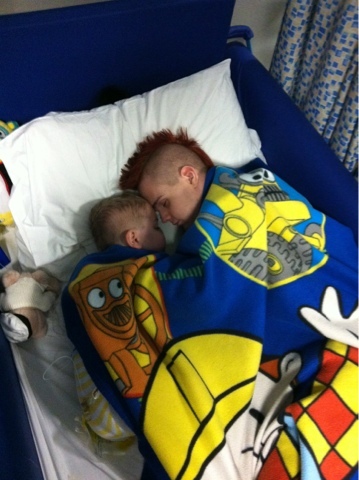 Josh is amazing, he's been through such a lot recently and is in high spirits, I think that's why we clicked straight away. Josh comes round to see me a lot which really makes me smile.